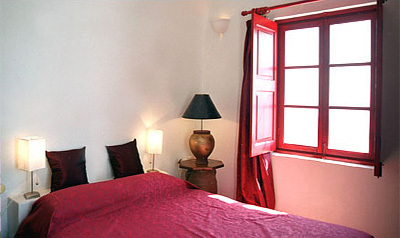 On the highest spot of the island overlooking the legend volcano, beside the middle aged Maltesa Orthodox church, Oniro Suites are situated. 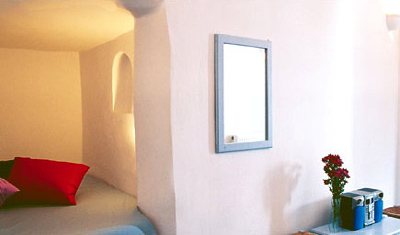 Seven deluxe Suites on the Volcanic caldera in paled Mediterranean colors has been built and recently renovated. 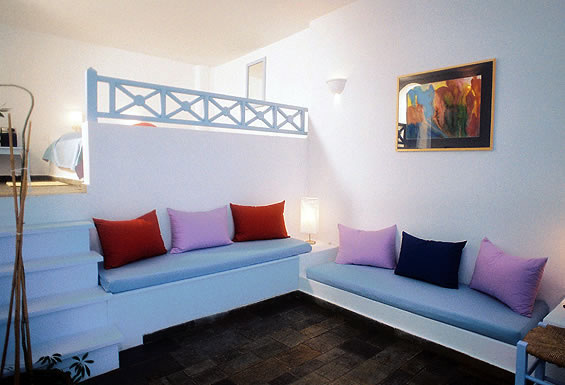 Each Suite with spacious veranda faced to the ruins of the Venetian castle (Skaros) and the mystery of a sleeping volcano in the background are all there at your feet. 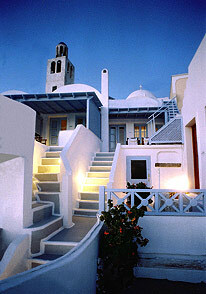 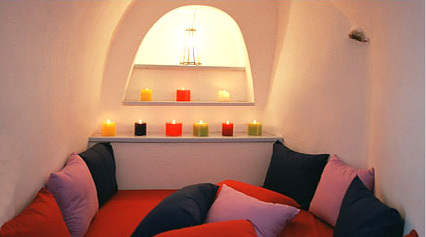 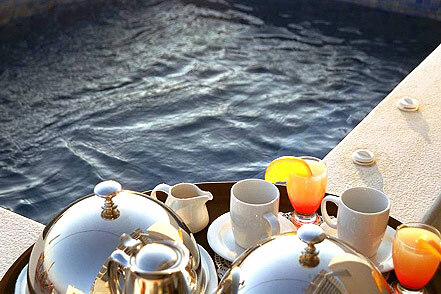 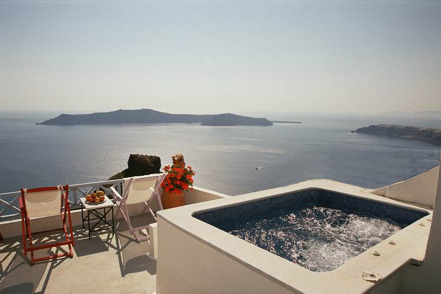 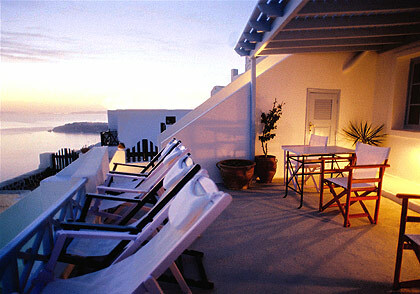 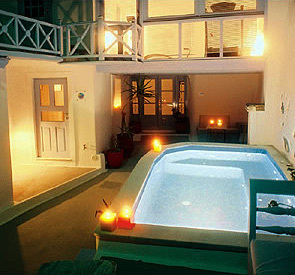 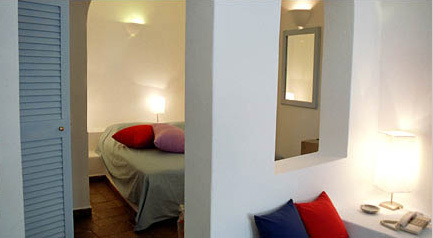 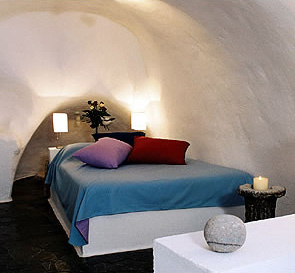 All Suites are overlooking the caldera, the volcano and the ruins of the Venetian castle (Skaros) with private terrace. 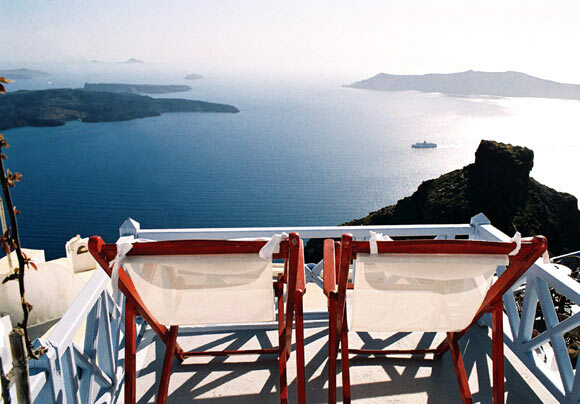 Relax and marvel at that panorama of the unique and unforgettable Santorini sunset from your spacious veranda or from our sunset bar enjoying your favorite cooling drinks.